Mainland Southeast Asia, also known historically as Indochina, comprising parts of Northeast India (Part of India east of Siliguri Corridor), Vietnam, Laos, Cambodia, Thailand, Myanmar, and West Malaysia. 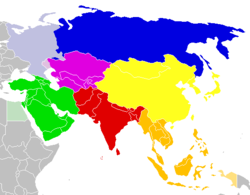 The term "Southeast Asia" was first used in 1839 by American pastor Howard Malcolm in his book Travels in South-Eastern Asia. Malcolm only included the Mainland section and excluded the Maritime section in his definition of Southeast Asia. The term was officially used in the midst of World War II by the Allies, through the formation of South East Asia Command (SEAC) in 1943. 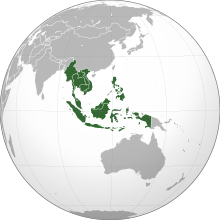 SEAC popularised the use of the term "Southeast Asia," although what constituted Southeast Asia was not fixed; for example, SEAC excluded the Philippines and a large part of Indonesia while including Ceylon. However, by the late 1970s, a roughly standard usage of the term "Southeast Asia" and the territories it encompasses had emerged. Although from a cultural or linguistic perspective the definitions of "Southeast Asia" may vary, the most common definitions nowadays include the area represented by the countries (sovereign states and dependent territories) listed below. 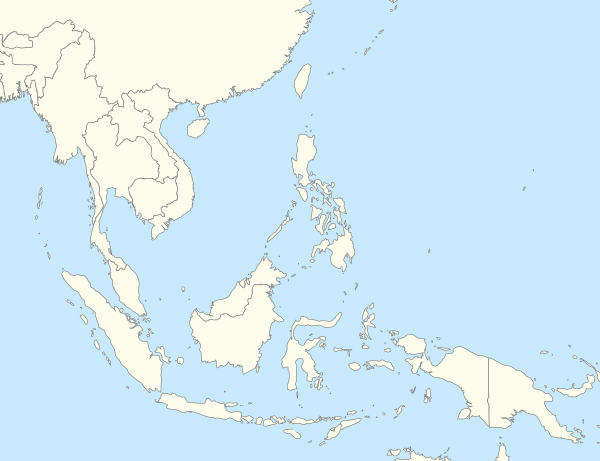 Southeast Asia is geographically divided into two subregions, namely Mainland Southeast Asia (or Indochina) and Maritime Southeast Asia (or the similarly defined Malay Archipelago) ( Javanese: Nusantara). The eastern half of Indonesia and East Timor (east of the Wallace Line) are considered to be biogeographically part of Oceania ( Wallacea) due to its distinctive faunal features. 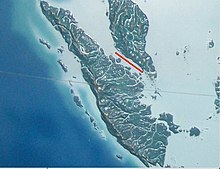 New Guinea and its surrounding islands are geologically considered as a part of Australian continent, connected via the Sahul Shelf. 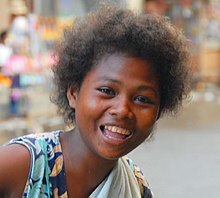 The peoples of Southeast Asia, especially those of Austronesian descent, have been seafarers for thousands of years, some reaching the island of Madagascar, became the ancestors of modern-day Malagasy people. Passage through the Indian Ocean aided the colonisation of Madagascar, as well as commerce between Western Asia, eastern coast of India and Chinese southern coast. Gold from Sumatra is thought to have reached as far west as Rome. Pliny the Elder wrote in his Natural History about Chryse and Argyre, two legendary islands rich in gold and silver, located in the Indian Ocean. Their vessels, such as the vinta, were capable to sail across ocean. Magellan's voyage records how much more manoeuvrable their vessels were, as compared to the European ships. A slave from the Sulu Sea was believed to have been used in Magellan's voyage as a translator. 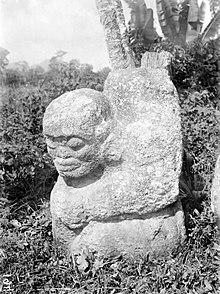 Most Southeast Asian people were originally animist, engaged in ancestors, nature, and spirits worship. These belief systems were later supplanted by Hinduism and Buddhism after the region, especially coastal areas, came under contacts with Indian subcontinent during the 1st century. Indian Brahmins and traders brought Hinduism to the region and made contacts with local courts. Local rulers converted to Hinduism or Buddhism and adopted Indian religious traditions to reinforce their legitimacy, elevate ritual status above their fellow chief counterparts and facilitate trade with South Asian states. They periodically invited Indian Brahmins into their realms and began a gradual process of Indianisation in the region. 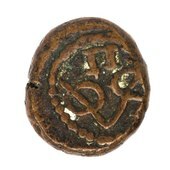 Shaivism was the dominant religious tradition of many southern Indian Hindu kingdoms during the 1st century. It then spread into Southeast Asia via Bay of Bengal, Indochina, then Malay Archipelago, leading to thousands of Shiva temples on the islands of Indonesia as well as Cambodia and Vietnam, co-evolving with Buddhism in the region. 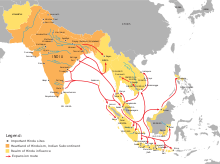 Theravada Buddhism entered the region during the 3rd century, via maritime trade routes between the region and Sri Lanka. Buddhism later established a strong presence in Funan region in the 5th century. In present-day mainland Southeast Asia, Theravada is still the dominant branch of Buddhism, practiced by the Thai, Burmese and Cambodian Buddhists. This branch was fused with the Hindu-influenced Khmer culture. Mahayana Buddhism established presence in Maritime Southeast Asia, brought by Chinese monks during their transit in the region en route to Nalanda. It is still the dominant branch of Buddhism practiced by Indonesian and Malaysian Buddhists. During World War II, Imperial Japan invaded most of the former western colonies. The Shōwa occupation regime committed violent actions against civilians such as the Manila massacre and the implementation of a system of forced labour, such as the one involving 4 to 10 million romusha in Indonesia. A later UN report stated that four million people died in Indonesia as a result of famine and forced labour during the Japanese occupation. The Allied powers who defeated Japan in the South-East Asian theatre of World War II then contended with nationalists to whom the occupation authorities had granted independence. 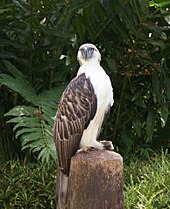 The Philippine eagle is the national bird of the Philippines. It is considered by scientists as the largest eagle in the world,  and is endemic to the Philippines' forests. While Southeast Asia is rich in flora and fauna, Southeast Asia is facing severe deforestation which causes habitat loss for various endangered species such as orangutan and the Sumatran tiger. Predictions have been made that more than 40% of the animal and plant species in Southeast Asia could be wiped out in the 21st century. At the same time, haze has been a regular occurrence. The two worst regional hazes were in 1997 and 2006 in which multiple countries were covered with thick haze, mostly caused by " slash and burn" activities in Sumatra and Borneo. In reaction, several countries in Southeast Asia signed the ASEAN Agreement on Transboundary Haze Pollution to combat haze pollution. Seventeen telecommunications companies contracted to build the Asia-America Gateway submarine cable to connect Southeast Asia to the US  This is to avoid disruption of the kind recently caused by the cutting of the undersea cable from Taiwan to the US in the 2006 Hengchun earthquakes. Tourism has been a key factor in economic development for many Southeast Asian countries, especially Cambodia. According to UNESCO, "tourism, if correctly conceived, can be a tremendous development tool and an effective means of preserving the cultural diversity of our planet." Since the early 1990s, "even the non-ASEAN nations such as Cambodia, Laos, Vietnam and Burma, where the income derived from tourism is low, are attempting to expand their own tourism industries." In 1995, Singapore was the regional leader in tourism receipts relative to GDP at over 8%. By 1998, those receipts had dropped to less than 6% of GDP while Thailand and Lao PDR increased receipts to over 7%. Since 2000, Cambodia has surpassed all other ASEAN countries and generated almost 15% of its GDP from tourism in 2006. Furthermore, Vietnam is considered as a rising power in Southeast Asia due to its large foreign investment opportunities and the booming tourism sector, despite only having their trade embargo lifted in 1995. No individual Southeast Asian country is religiously homogeneous. Some groups are protected de facto by their isolation from the rest of the world. 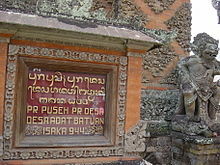 In the world's most populous Muslim nation, Indonesia, Hinduism is dominant on islands such as Bali. Christianity also predominates in the rest of the part of the Philippines, New Guinea and Timor. Pockets of Hindu population can also be found around Southeast Asia in Singapore, Malaysia etc. Garuda (Sanskrit: Garuḍa), the phoenix who is the mount (vahanam) of Vishnu, is a national symbol in both Thailand and Indonesia; in the Philippines, gold images of Garuda have been found on Palawan; gold images of other Hindu gods and goddesses have also been found on Mindanao. 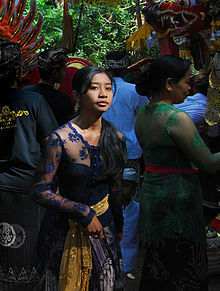 Balinese Hinduism is somewhat different from Hinduism practised elsewhere, as Animism and local culture is incorporated into it. 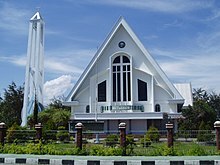 Christians can also be found throughout Southeast Asia; they are in the majority in East Timor and the Philippines, Asia's largest Christian nation. 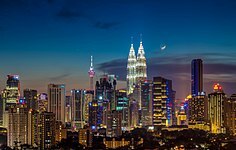 In addition, there are also older tribal religious practices in remote areas of Sarawak in East Malaysia, Highland Philippines and Papua in eastern Indonesia. In Burma, Sakka ( Indra) is revered as a nat. In Vietnam, Mahayana Buddhism is practised, which is influenced by native animism but with strong emphasis on ancestor worship. Indonesia has over 700 languages in over 17,000 islands across the archipelago, making Indonesia the second most linguistically diverse country on the planet,  slightly behind Papua New Guinea. The official language of Indonesia is Indonesian (Bahasa Indonesia), widely used in educational, political, economic, and other formal situations. 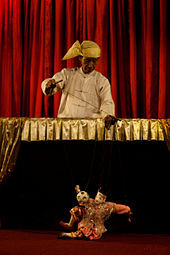 In daily activities and informal situations, most Indonesians speak in their local language(s). For more details, see: Languages of Indonesia. Jabodetabek ( Jakarta/ West Java/ Banten), Indonesia. 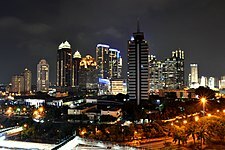 Jabodetabek is an abbreviation of Jakarta, Bogor, Depok, Tangerang, and Bekasi, which are the satellite cities of the Special Capital Region of Jakarta. The culture in Southeast Asia is very diverse: on mainland Southeast Asia, the culture is a mix of Burmese, Cambodian, Laotian and Thai ( Indian) and Vietnamese ( Chinese) cultures. While in Indonesia, the Philippines, Singapore and Malaysia the culture is a mix of indigenous Austronesian, Indian, Islamic, Western, and Chinese cultures. Also Brunei shows a strong influence from Arabia. Vietnam and Singapore show more Chinese influence  in that Singapore, although being geographically a Southeast Asian nation, is home to a large Chinese majority and Vietnam was in China's sphere of influence for much of its history. Indian influence in Singapore is only evident through the Tamil migrants,  which influenced, to some extent, the cuisine of Singapore. Throughout Vietnam's history, it has had no direct influence from India – only through contact with the Thai, Khmer and Cham peoples. Moreover, Vietnam is also categorized under the East Asian cultural sphere along with China, Korea, and Japan due to the large amount of Chinese influence embedded in their culture and lifestyle. Of the court and folk genres, gong-chime ensembles and orchestras make up the majority (the exception being lowland areas of Vietnam). 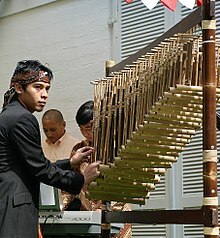 Gamelan and Angklung orchestras from Indonesia, Piphat / Pinpeat ensembles of Thailand and Cambodia and the Kulintang ensembles of the southern Philippines, Borneo, Sulawesi and Timor are the three main distinct styles of musical genres that have influenced other traditional musical styles in the region. String instruments also are popular in the region. ^ a b Emmerson, Donald K (1984). 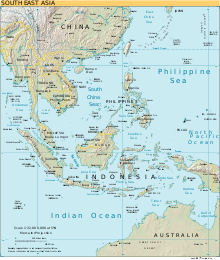 "Southeast Asia: What's in a Name?". Journal of Southeast Asian Studies. 15 (1): 1–21. doi: 10.1017/S0022463400012182. JSTOR 20070562. Retrieved 9 December 2017. ^ Demeter, Fabrice; Shackelford, Laura L.; Bacon, Anne-Marie; Duringer, Philippe; Westaway, Kira; Sayavongkhamdy, Thongsa; Braga, José; Sichanthongtip, Phonephanh; Khamdalavong, Phimmasaeng (4 September 2012). "Anatomically modern human in Southeast Asia (Laos) by 46 ka". Proceedings of the National Academy of Sciences. 109 (36): 14375–14380. Bibcode: 2012PNAS..10914375D. doi: 10.1073/pnas.1208104109. ISSN 0027-8424. PMC 3437904. PMID 22908291. ^ Morwood, M. J.; Brown, P.; Jatmiko; Sutikna, T.; Wahyu Saptomo, E.; Westaway, K. E.; Rokus Awe Due; Roberts, R. G.; Maeda, T.; Wasisto, S.; Djubiantono, T. (13 October 2005). "Further evidence for small-bodied hominins from the Late Pleistocene of Flores, Indonesia". Nature. 437 (7061): 1012–1017. Bibcode: 2005Natur.437.1012M. doi: 10.1038/nature04022. PMID 16229067. ^ Deng, L; Hoh, B. P; Lu, D; Saw, W. Y; Twee-Hee Ong, R; Kasturiratne, A; De Silva, H. J; Zilfalil, B. A; Kato, N; Wickremasinghe, A. R; Teo, Y. Y; Xu, S (3 September 2015). "Dissecting the genetic structure and admixture of four geographical Malay populations". Science Reports. 5: 14375. Bibcode: 2015NatSR...514375D. doi: 10.1038/srep14375. PMC 585825. PMID 26395220. ^ Roszko, Edyta (1 March 2012). "From Spiritual Homes to National Shrines: Religious Traditions and Nation-Building in Vietnam". East Asia. 29 (1): 25–41. CiteSeerX 10.1.1.467.6835. doi: 10.1007/s12140-011-9156-x. ISSN 1096-6838. ^ Damian Evans; et al. (9 April 2009). "A comprehensive archaeological map of the world's largest preindustrial settlement complex at Angkor, Cambodia". PNAS. 104 (36): 14277–82. Bibcode: 2007PNAS..10414277E. doi: 10.1073/pnas.0702525104. PMC 1964867. PMID 17717084.